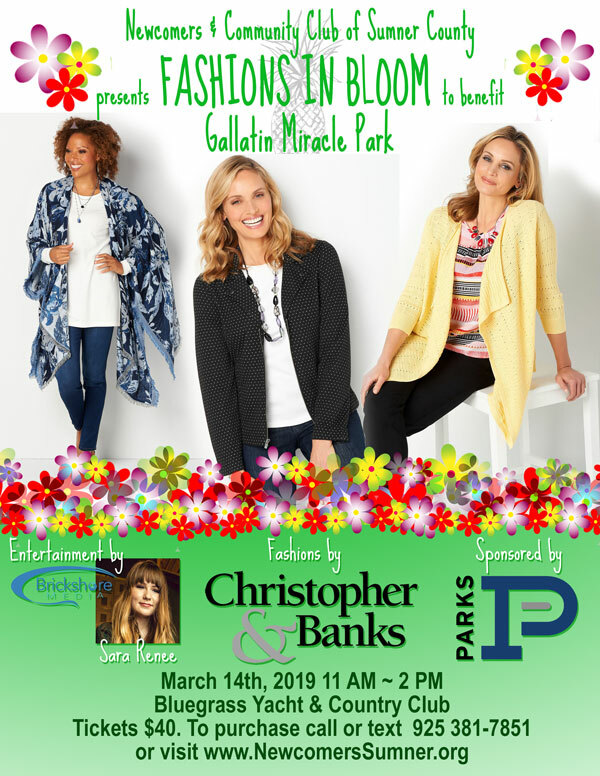 Newcomers Spring Fashion Show, FASHIONS IN BLOOM to benefit GALLATIN MIRACLE PARK, will take place at 11 AM on March the 14th at Bluegrass Country Club. Fashions will be provided by Christopher & Banks and Sara Renee will provide entertainment. To make reservations for the fashion show and luncheon, you have three options – purchase your ticket here online, call or text 925 381-7851 or purchase at the February Luncheon. We need to have your reservation no later than 8:00 pm, Monday, March 11th before the luncheon.